This dog is not sure what to think - his parents are expecting TWINS! 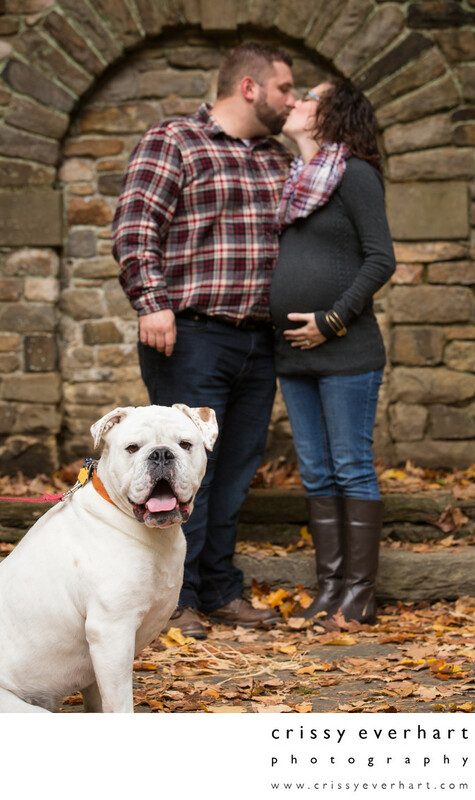 Here a white bulldog looks at the camera, in front of his human parents who kiss and hold the mom's pregnant belly. They stand in front of the stone wall at Ridley Creek State Park in Media, PA, where they came for the fall mini-sessions.